In the quest to fill every aspect of your home with succulents, you’re going to eventually run out of window space. That’s when the fat plants will begin to invade interior rooms that aren’t blessed with the sun’s light. If you don’t want to get a grow light and provide an oasis for your chunky friends, you’ve still got options! Here are a bunch of plants that don’t really mind the lower levels of light. They’ll all do fine with whatever overhead lights or ambient sun gets into the room. 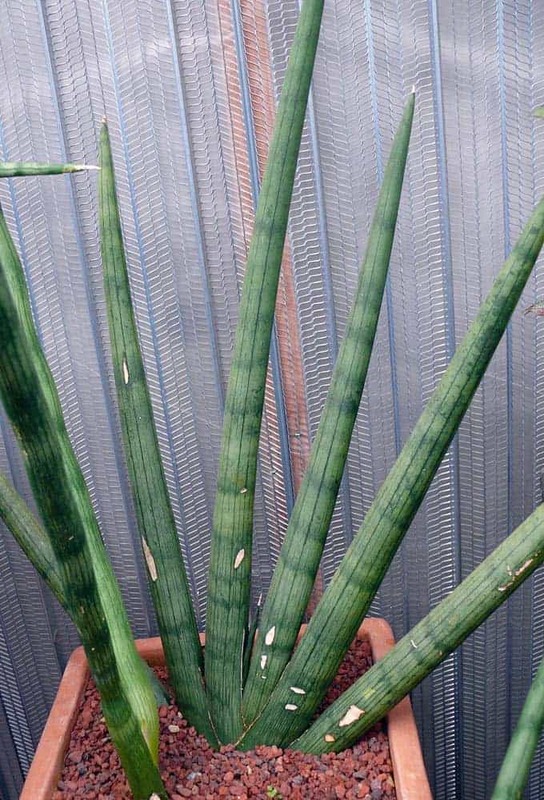 You’ll find snake plants in offices around the globe. They are ubiquitous because they are almost impossible to kill; they actually seem to thrive on neglect. Water them a few times a month and forget about ’em. They’ll survive on whatever light happens to show up. It’s so common, you probably don’t have to buy it. Doubtless you can steal a little shoot (they self propagate often) from your office or the doctor’s waiting room or whatever. If you are too scrupulous for that, get one online here. Another dead-easy plant to keep indoors is the jade plant. Like the snake plant, it’s really common everywhere – both indoors and out. They get really big too; you might not even notice a bush is actually a huge jade plant until you get close enough to touch it. The reason they can get so big is because they’re so dang resilient. They can bounce back from just about anything, thanks in part to their woody stems. Most succulents aren’t woody, and they lack the ability to recover from prolonged periods of neglect or abuse. Jade plants can even come back from losing all their leaves (if those leaves don’t make new babies by themselves!). If you don’t have one, you can probably get a cutting from a neighbor. You can purchase them online here. A somewhat unconventional entry, but this Cotyledon actually fits really well on a list of indoor succulents. It would still prefer direct light, but because of its unusual growth pattern, you won’t notice the etiolation that accompanies low-light situations. And bear paws are a fun succulent, not to mention a good conversation piece! How often do you see a furry plant? Especially one that won’t hurt you when you pet it? This is a staple of any cubicle (or succulent arrangement). The zebra cactus has a unique aesthetic that works solo or in a group. The elegant, striking curves are a great complement for one of those cool, geometric 3D printed pots (like those made by our friends at Print A Pot). 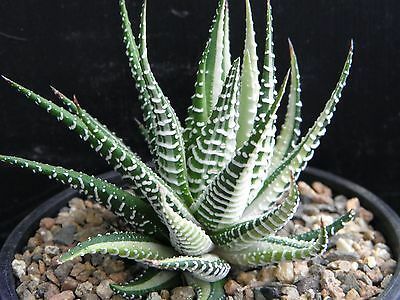 This Haworthia is slow-growing and easy, which makes it a great fit for an office or desk. Infrequent watering, whatever light is around, and a few whispered compliments are all this plant needs to thrive. These are pretty common in home improvement stores and the like, but you can get them shipped to you easily by purchasing online. Christmas, Thanksgiving, Easter… whatever kind you have, these are all cared for in mostly the same way. Most people that have a holiday cactus water it a little more frequently than you would normally water a succulent. These guys thrive, though, it’s unclear whether that’s because they’re particularly hardy or they actually want more water. I’m not sure why, but every grandparent I’ve ever met has one of these. Maybe it’s given to you when you get grandkids? Not sure, I’m not there yet. Anyway, you shouldn’t have to pay for one. Just ask your grandma for a cutting. If you don’t wanna call her (you monster), you can find some here. Burro’s Tail is an awesome succulent because it fits in so many places. It’s probably the easiest trailing succulent to grow, which is what gives it so much adaptability. This Sedum is good in low-light environments too because etiolation is pretty impossible to detect in a vine. One thing to note is that the leaves on this plant are quite prone to falling off. Don’t put it in a high-traffic area or you might find it looking bare. It works great in a corner somewhere, hanging from the ceiling. These are pretty easy to propagate, so if you find a friend with one, just snag a couple of leaves that fell and throw ’em on some dirt. If you don’t wanna wait, you can pick one up here today! I probably didn’t even need to put this here. If you’re looking for indoor succulents, or succulents of any kind really, you’ve already got an aloe. Even non-plant people have aloes. It’s probably the most popular plant in the world. And you can guess why, it’s so darn simple. You definitely don’t need a green thumb to grow aloe. Heck, you don’t even need thumbs. Just water it once a week and you’re good. It’ll survive on any windowsill and under any office light. I can’t imagine that you’d ever need to buy this. I think they kind of spontaneously generate in kitchen windows. If you don’t have one for some reason, you can grab one here. This entry might have surprised you, but rest assured, this palm is a succulent. After all, succulents are not a specific family – it’s just a catch-all term for plants that store water. And store water they do! The Ponytail Palm has a cute, little chubby waist. It’s another slow-growing, low-maintenance plant. If you’re looking for that leafy aesthetic in an indoor space, which is admittedly hard to get with succulents, this is the plant for you. You probably won’t find it at your local succulent nursery, but it’s easy to get online. A personal favorite, the cylindrical snake plant looks unique and striking in every situation. It really shines, however, in those cute specialty planters. For example, it makes great spines for a dinosaur or hedgehog. This is a flexible plant, too! While it would be perfectly happy in direct sunlight, it doesn’t mind low-light situations either. Besides, how do you notice if something is etiolated when all it does is grow straight out anyway? The only advice I would give is to be careful keeping it around eye-level. Each leaf is pretty much a spear – they end in a hard, sharp spike. I nearly put my eye out walking past it one time! These sometimes show up in bog box stores, but it’s a lot easier to find them online (like this one on Etsy). The Gollum Jade personifies everything that we like about succulents: plump, easy-to-grow, and weird looking. It’s sometimes called ogre ears because young leaves tend to look a lot like the ears of our favorite ogre – Shrek. This one is pretty easy to find and care for. 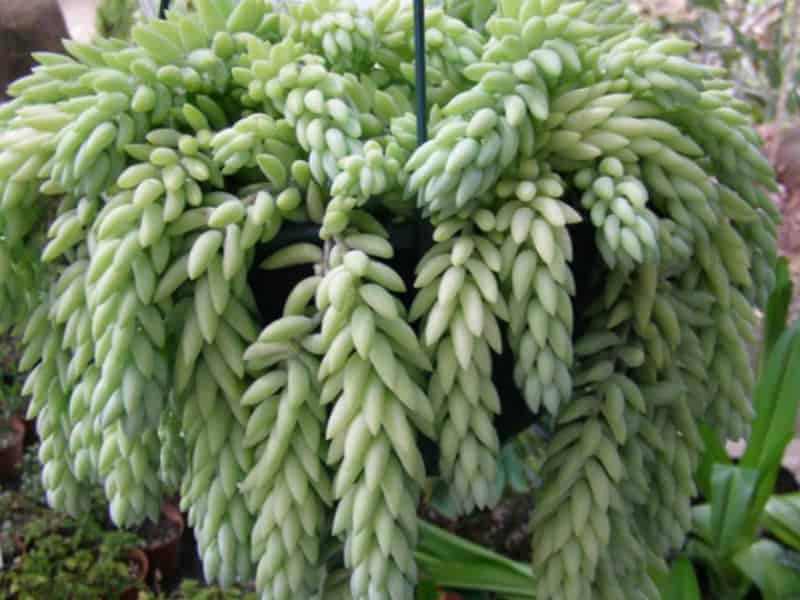 You should note, though, that they generally like a little bit more water than other succulents. For this reason, they don’t always fit in arrangements with others. Don’t let that stop you though, these look great solo. It’s frequently used to make amazing bonsai as well! 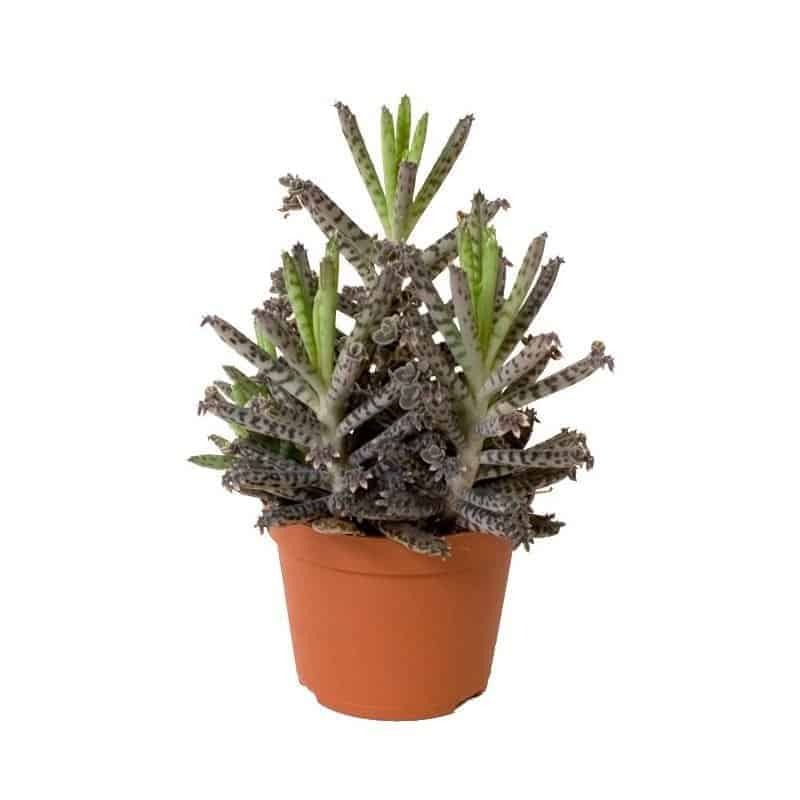 These are common in stores that sell plants because they’re very hardy. Here’s a link to get them online! What plants have you had success with growing indoors in low light? Tell us below! 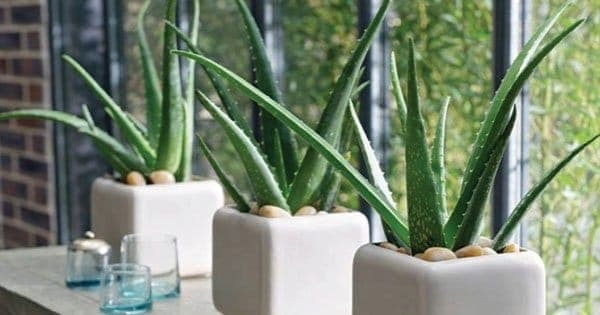 I’ve read elsewhere that Sanseveria is toxic to pets. Are any of these safe for cats?